Working with AARP, Atlas of Caregiving is hosting a series of CareMap Workshops across the country. The workshops are meant to teach family caregivers how to draw their own CareMaps and better understand their support networks and the resources available to them. On September 6 and 7, AARP facilitated four CareMap Workshops in Denver, Colorado in English and Spanish. One of the topics that emerged a few times during the workshops was how to represent those people who might have a negative effect on people’s lives. The Atlas team is considering how to best represent this sort of relationship in its digital CareMap version. However since a hand-drawn CareMap is just that – hand-drawn – additional detail can be added to indicate positive and negative influences. Other types of data people might want to capture include defining the types of support provided by the mapped relationships like, physical, emotional, financial. Moving Closer to Understanding Family Caregiving in Denver? CareMap Workshops allow Atlas to work closely with caregivers while gaining valuable insight into family caregiving in different communities nationwide. 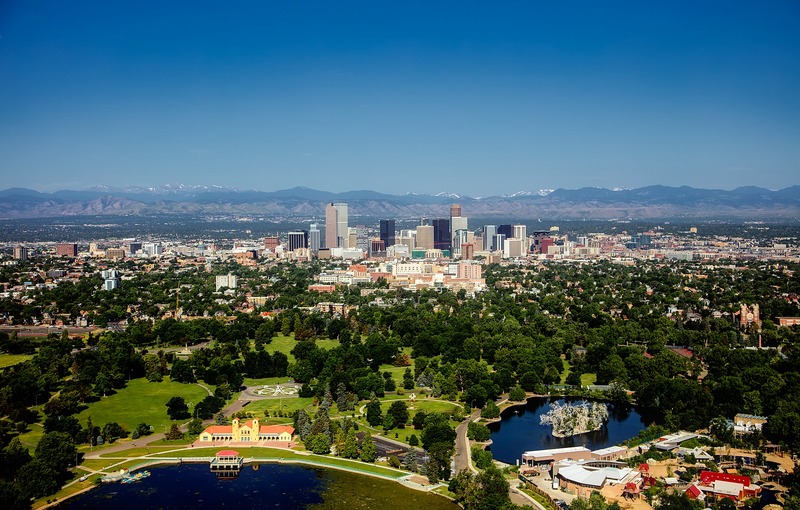 We’ve previously highlighted CareMap Workshops in Phoenix, Arizona, and would now like to take a look at the city of Denver and its caregiving needs. According to Denver Regional Council of Governments, as of 2014, 18.9 percent of Denver’s population was age 60 or above. This is projected to increase to 24 percent of the total population by 2040. For the state of Colorado as a whole, the growth rate of the population of residents above the age of 65 is the third highest in the country, and far outpaces its rate of total growth. The bulk of the burden of providing adequate care to such a large aging population will likely fall on family caregivers, making it important, now more than ever, to prepare current and potential family caregivers and build strong networks of resources and support. Atlas CareMap Workshops are one of the initial steps in this important task. Who are the family caregivers of Denver? In Metro Denver alone, there are over one million adults ages 50 and above, many of whom will require care as they get older. Approximately 19 percent of adults in the city are already providing eldercare to a loved one. This means that for eldercare alone, as many as 435,000 people in Denver are acting as family caregivers. Like family caregivers everywhere else, many of these people also work full time, raise younger children, and manage households of their own on top of caring for their loved ones. Because the cost of long-term care is simply unaffordable for most middle-income households, most rely on family caregivers. Family caregiving is almost always unpaid. A 2017 AARP assessment estimates that the total value of the unpaid family care provided in Colorado is $8 billion per year. As the elderly population in Denver continues to grow, and more and more family members are required to assume caregiving roles, it’s imperative that we work together to provide resources for education on family care and build strong networks of support that convey appreciation for the value family caregivers bring. Challenges faced in confronting rapidly aging populations like Denver’s cannot be solved by public initiatives or health care policy alone. Family caregivers provide irreplaceable services in the area of eldercare. For this reason, providing micro-solutions that address the lived experiences of these caregivers can have large impact in transforming communities and making them better equipped to support larger and larger elderly populations as life expectancy continues to climb. Atlas CareMap Workshops aim to initiate important conversations with communities about the realities of family caregiving while providing valuable information, education, and tools to family caregivers. Meanwhile, as we interact and learn from local caregivers, we achieve valuable, contextual insight and make progress on creating better tools and products to help them and those who require their care.